The Origin and Purpose of the Anishinabe Spiritual Centre (ASC) in the Native Sector of the Sault Ste. Marie Diocese. “Without a vision the people perish.” (Proverbs 29:18) Vatican II provided such a vision for the Roman Catholic Church. The Council drew from biblical, patristic, and contemporary sources in this renewal process. As a result the Roman Catholic Church entered a period of “revitalization,” that is a “deliberate, organized, conscious efforts by members of a society to construct a more satisfying culture.” (Anthony Wallace) It also opened the way for a native expression of Catholicism. In particular, the restoration of the permanent diaconate to the Latin rite was the stimulus for the development of a ministry program in the native sector of the Sault Ste. Marie Diocese. In the midst of this church ferment, creative individuals like Fr. Michael Murray S.J., the builder and first director of the Anishinabe Spiritual Centre (founded 1979), set out to implement the Council vision. As a result the Jesuit way of being present to the native church of Northern Ontario changed dramatically. The circuit rider era of mission had drawn to a close-although through the 1970´s the ministries program without a fixed base continued the earlier tradition by taking the formation team on the road. Different communities would host the monthly gatherings during this period. The difficulties of this approach soon gave rise to a quest for a permanent home. Real estate near Spanish and Willisville itself were explored as future sites for a ministries centre. In the end the Jesuit mission community decided to redevelop a property on Anderson Lake near Espanola. It was time for the birth of a truly native church led by native people. Bishop Alex Carter, Marcel Gervais, and Jean-Louis Plouffe, all played vital roles in moving towards this goal. The Sault Ste. Marie diocese, in which the ASC existed, had already affirmed similar directions at a local synod in which Fr. Dan Hannin S.J., a life long Jesuit missionary, played a co-ordinating role. Having supported the reintroduction of the diaconate, and going further by devising a commissioned ministry path for women -the Diocesan order of Women, the stage was now set for similar developments in the native sector. 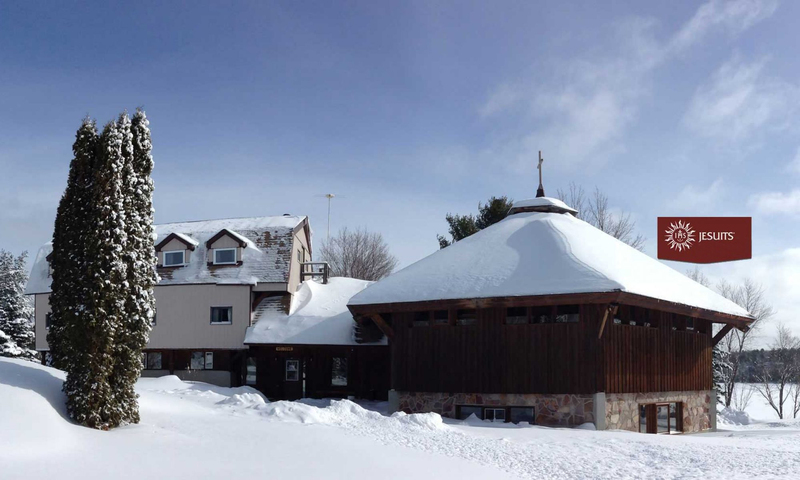 Despite many present challenges, the Anishinabe Spiritual Centre continues receiving candidates for ministry. Today the vast majority are women. In addition to training seventeen men for the diaconate, and nineteen women for the diocesan order of women (now called the diocesan order of service), the ASC has helped prepare two men, Milton McWatch, and George Gardner, for the diocesan priesthood. Fr. McWatch presently serves in the Thunder Bay diocese while Fr. Gardner is a pastor in the Sault Ste Marie diocese. There is a need for new and younger candidates for ministry. This will come about only if the Church´s call for a “new evangelization” is taken seriously, and implemented soon. The “Year of Faith” celebrating the 50th anniversary of the opening of the Second Vatican Council began October 11,2012. This is a kairos moment for Church renewal.